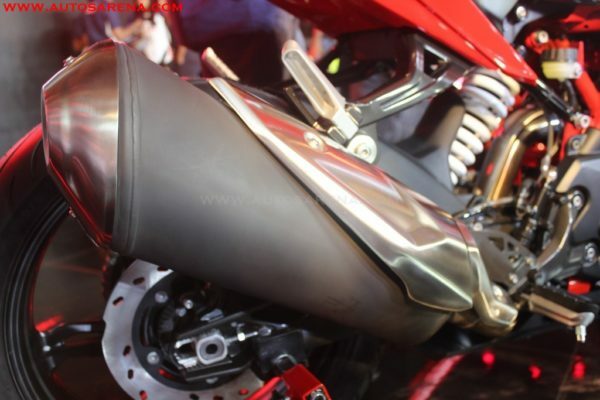 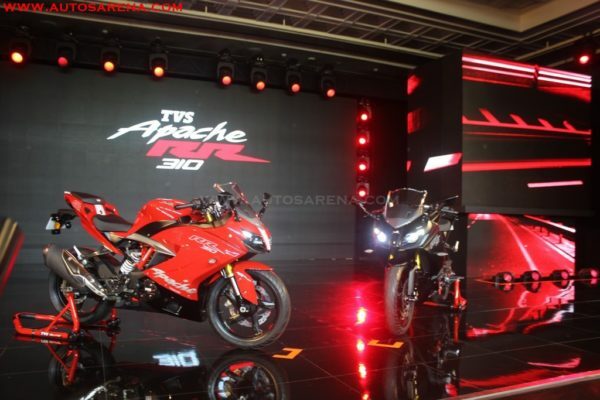 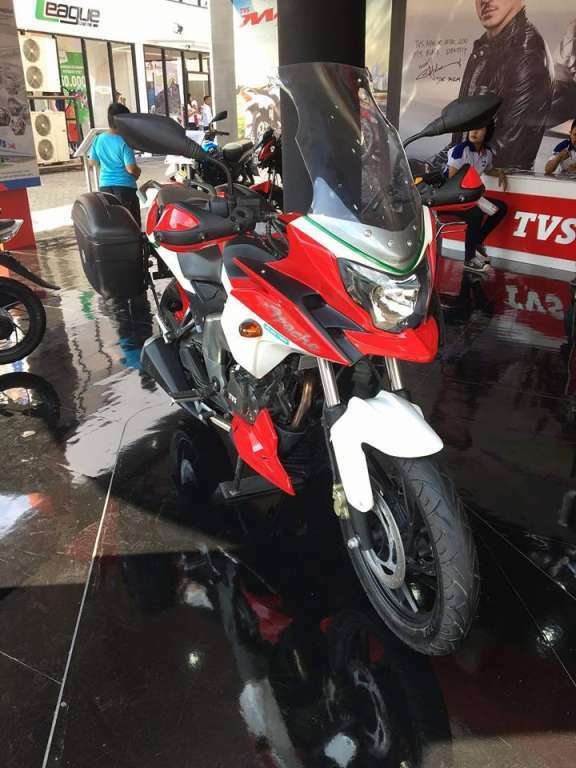 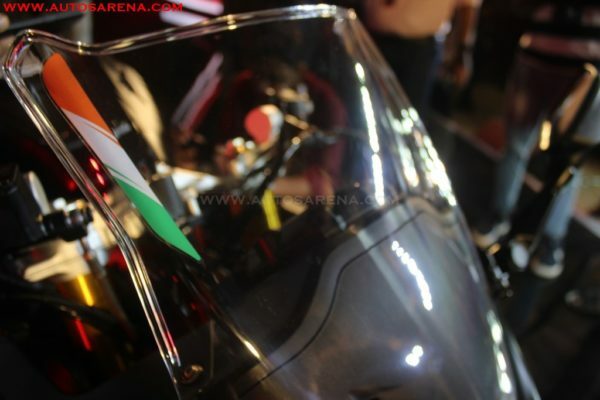 TVS Apache RR 310 is TVS Motor Company’s first foray into the super- premium category and is Inspired by 35 years of TVS Racing. 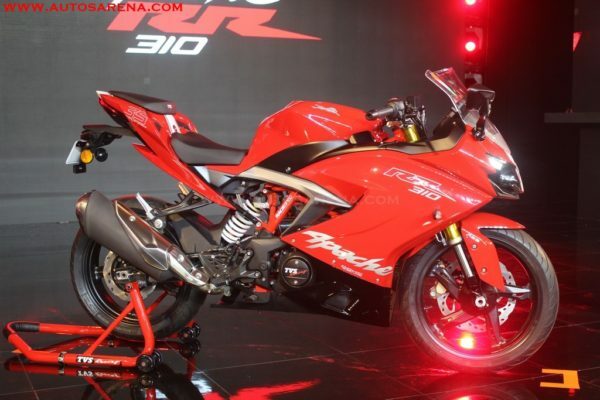 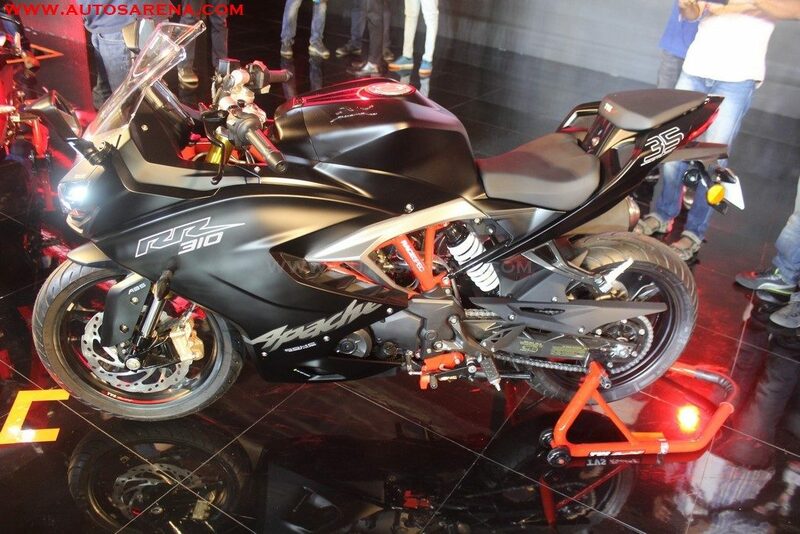 TVS Motor announced the entry into the Super-premium motorcycle segment with the launch of TVS Apache RR 310. 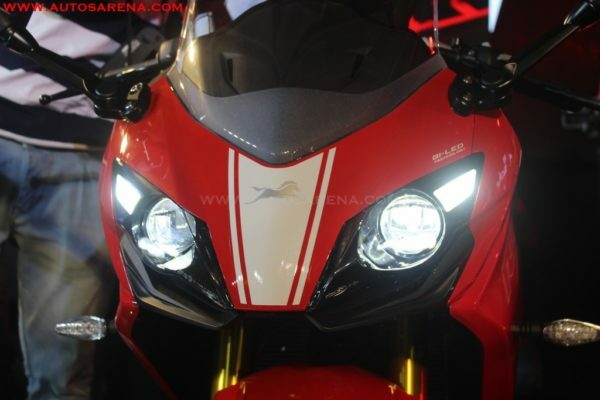 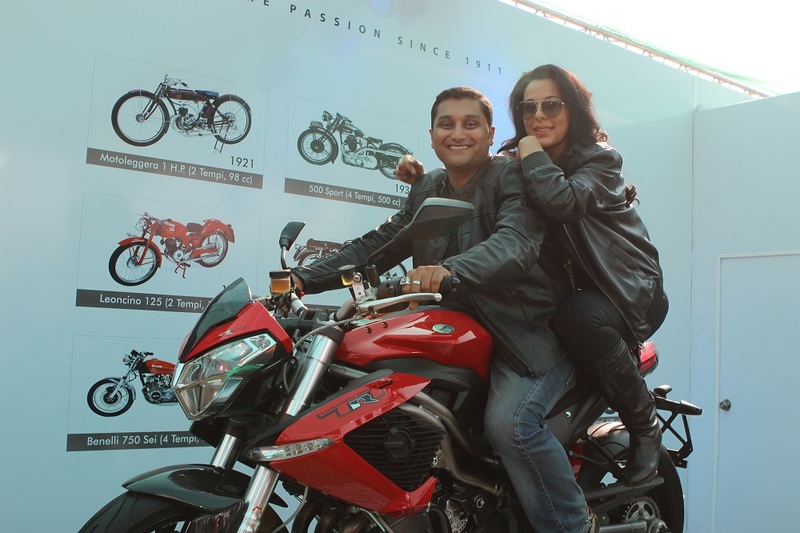 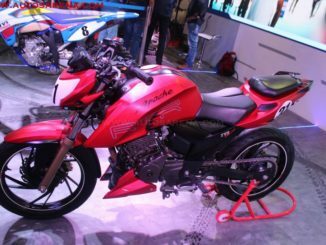 The motorcycle will be sold in both domestic and international markets. 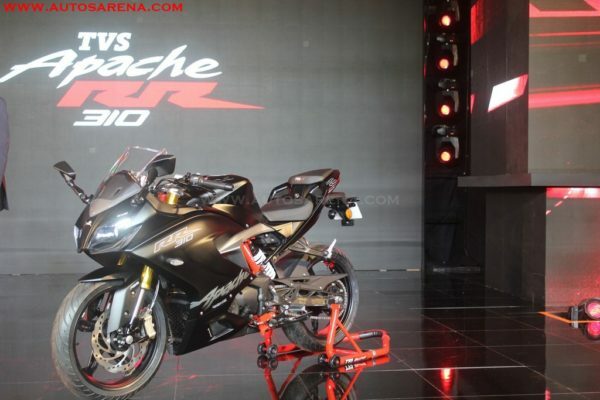 The Apache RR 310 shares its platform with the BMW G10 R and also has the same engine with different performance configuration. 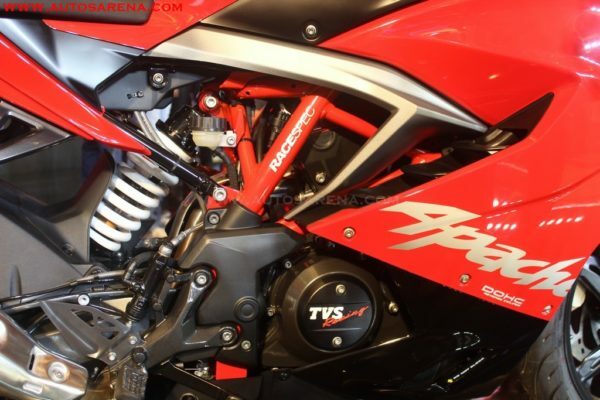 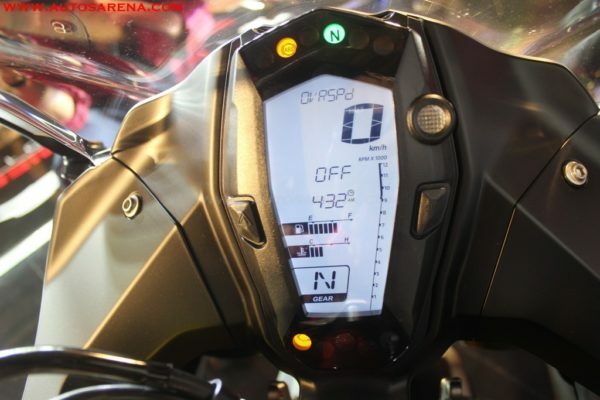 The TVS Apache RR 310 gets a 312cc, single-cylinder, 4-stroke, 4-valve, liquid-cooled engine that churns out 34 PS@9700 rpm and 27.3 NM@7700 rpm. 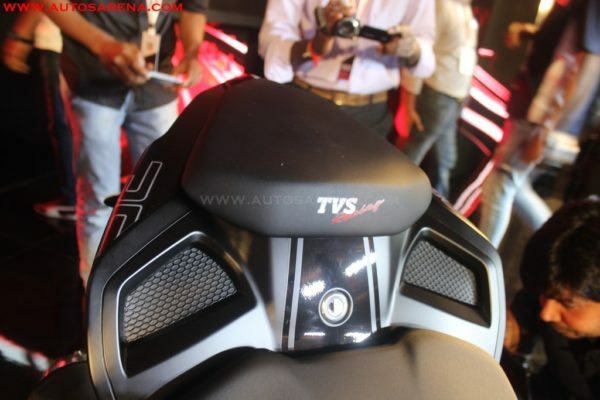 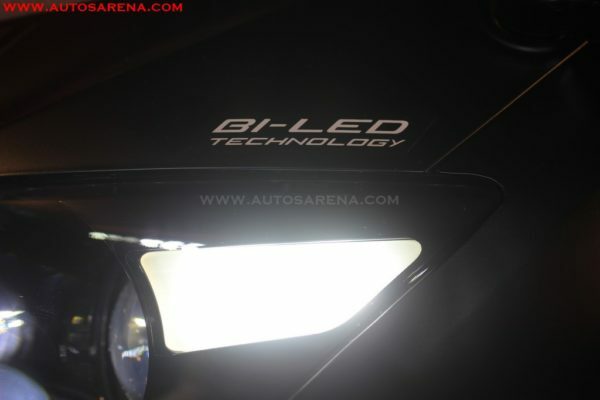 The engine is mated to a 6-speed super-slick gearbox for a race-shift experience. 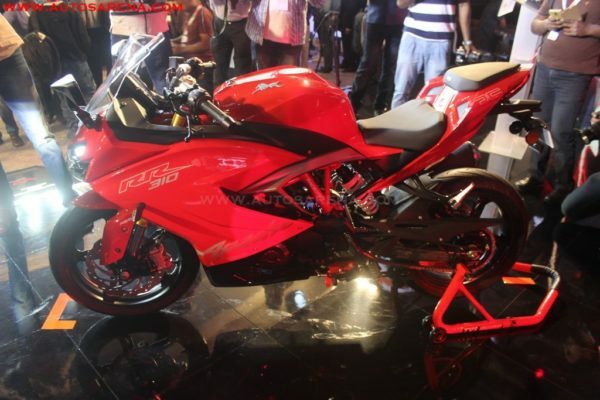 The motorcycle boasts of a top speed of 160 kmph, and acceleration from 0-to-60 kmph in just 2.9 seconds. 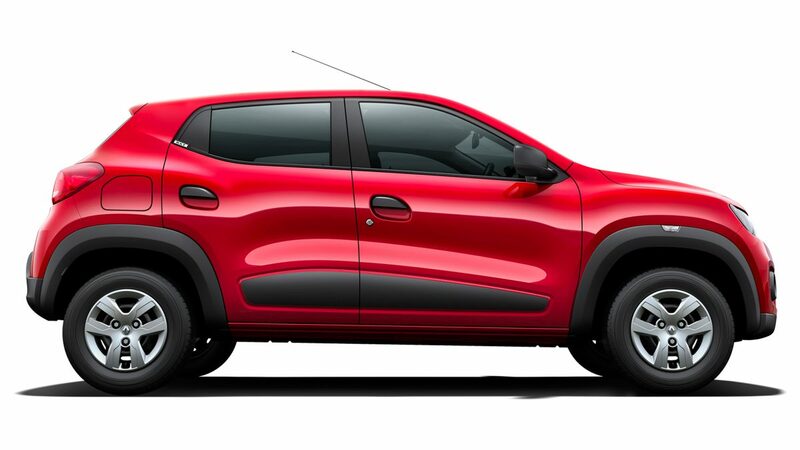 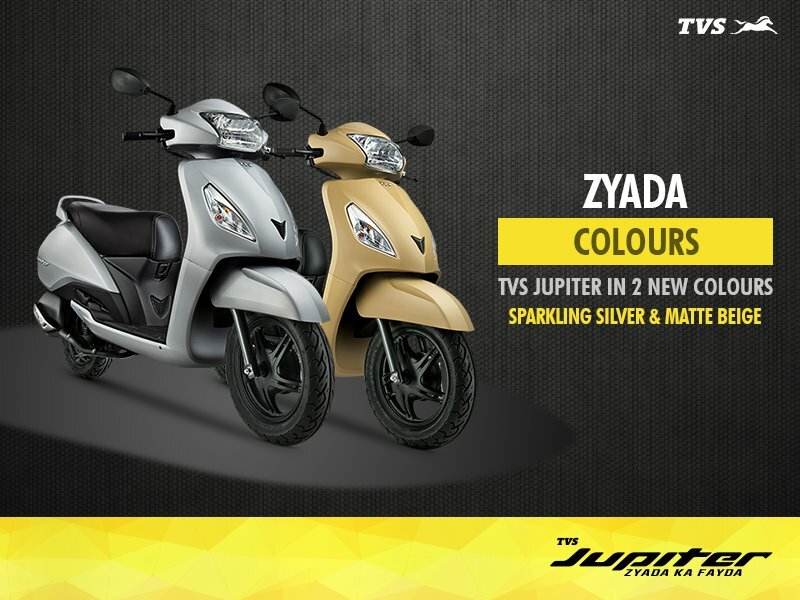 The styling is race inspired with fully-faired, sporty design with superior ergonomics. 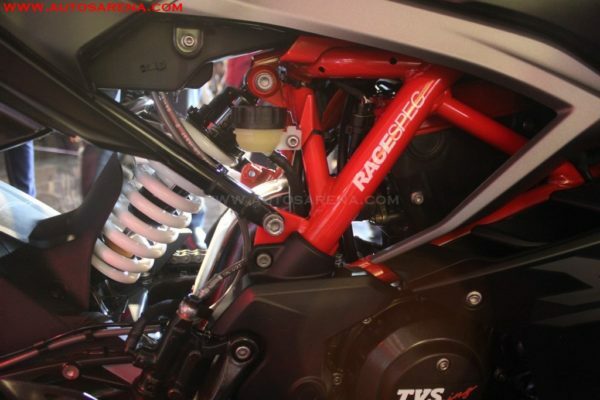 The TVS Apache RR 310 gets the Race Spec KYB Suspension that is tested and tuned by MotoGP experts. 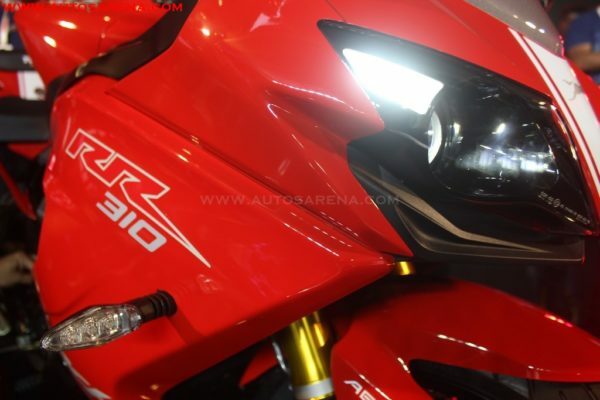 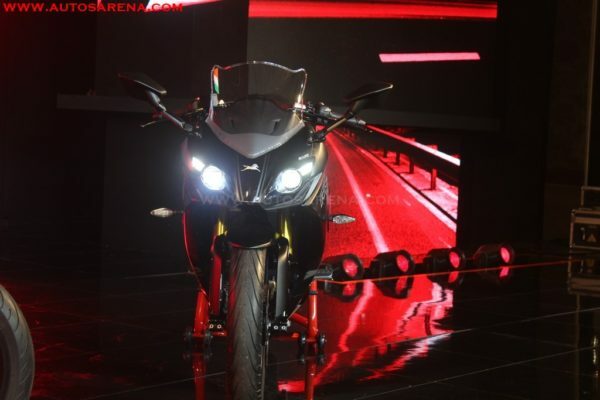 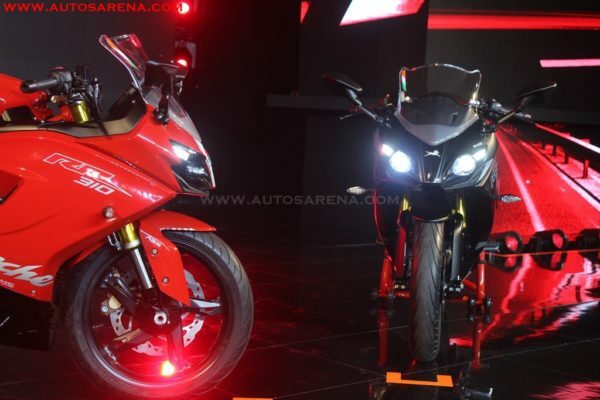 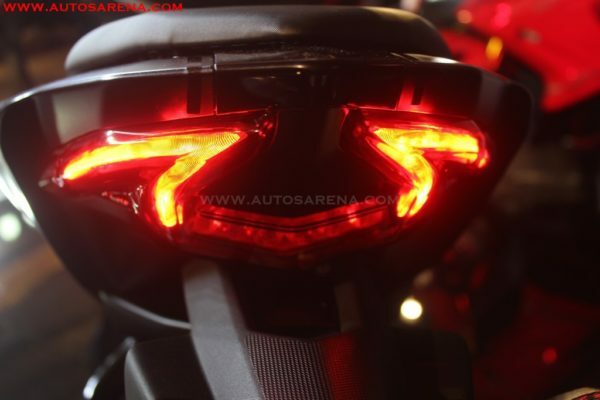 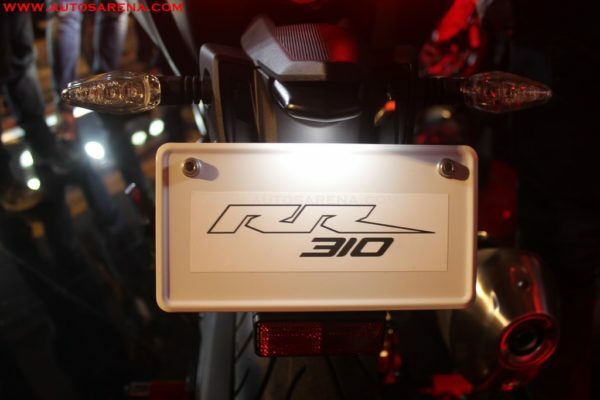 Both, Anti-Lock Braking System (ABS) and Electronic Fuel Injection (EFI) system, will be available as standard on the TVS Apache RR 310. 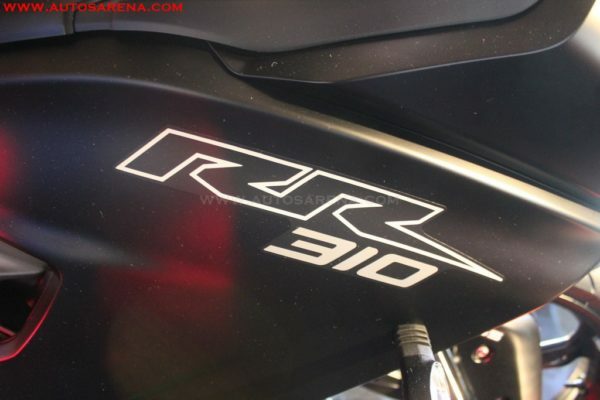 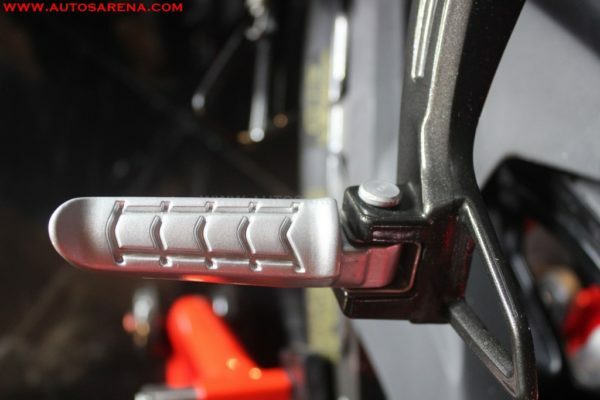 The bike is priced at Rs. 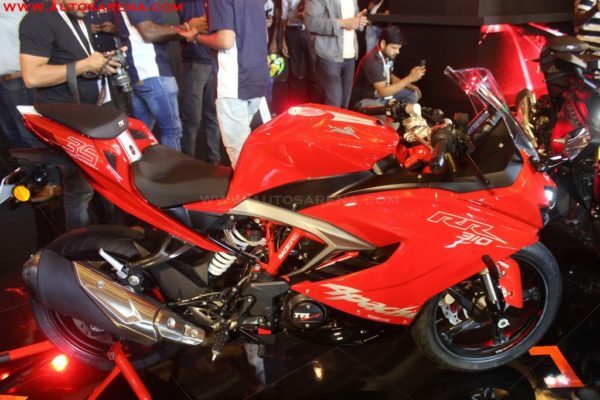 2.05 lakhs ex-showroom and delivers will begin end of December 2017. 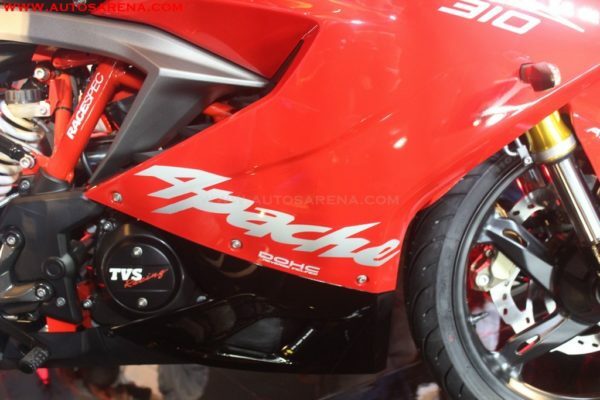 LogicKyahai – Is two wheeler insurance compulsory?